12.94m Randell fishing vessel in AMSA 3C Survey. Powered by D12 550HP Volvo Penta this 43' tidy fishing vessel cruises at 18 knots with ease and pushes 25 knots, sprint speed. Extensive maintenance and refit over the last 5 years including complete rewire, new targa tower, refurbished deck, electronic controls. 1000L diesel, live tanks hold 300kg of Lobster. Suzuki echo sounder, plotter running Max Sea with 3D mapping. The vessel presents immaculate and inspection will impress. 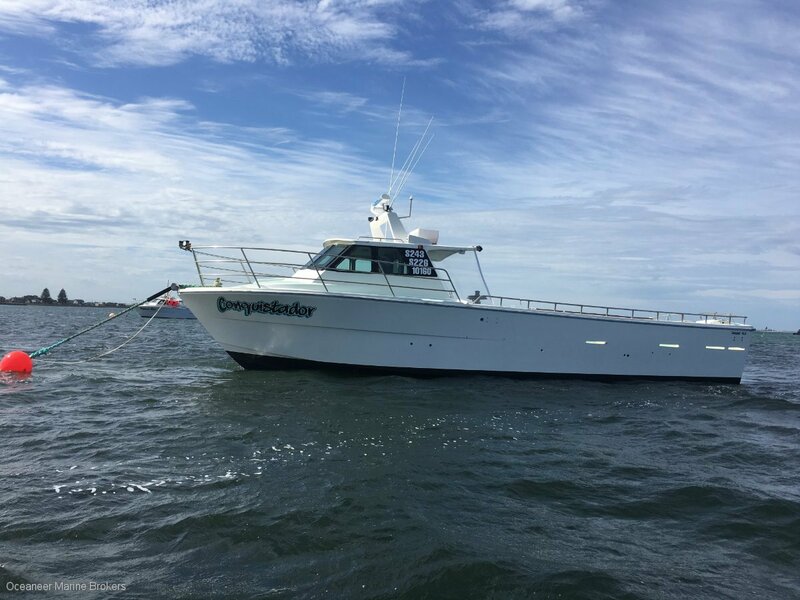 Please contact Oceaneer Marine Brokers for full inventory and more details.